During the third weekend of October, Lighthouse has the unique opportunity to partner with Feed My Starving Children, an organization that packs food boxes to feed the hungry and needy around the world. Feed My Starving Children was founded in 1987, and is in the top 1% of nationally rated charities in terms of integrity and trustworthiness. It has shipped food packages to over 70 countries around the world, like Haiti, Peru, Zimbabwe and Thailand. 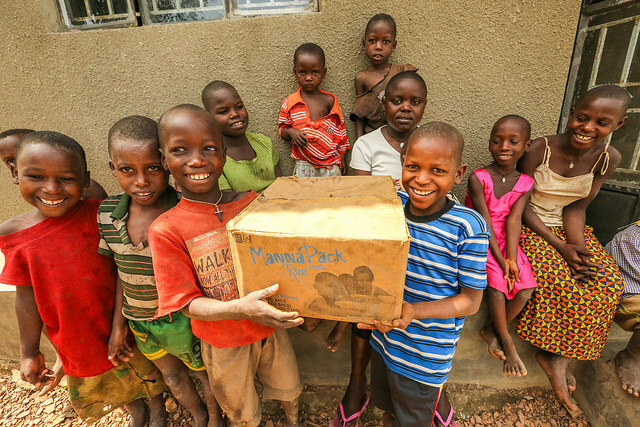 By sending hand-packed meals targeted to addressing the specific needs of malnourished children, FMSC hopes to partner with local organizations (like orphanages, schools, clinics and feeding programs) to help end the cycle of poverty. Pastor Gavin, our pastor of Evangelism ministries, first encountered FMSC during the summer. Representatives were meeting with churches around the Los Angeles metro area with the intention of partnering with them to start a Mobile Packing site, and Lighthouse seemed like a good fit for the organization. After prayerful consideration and logistical planning, Pastor Gavin and Lighthouse decided this would be a great event to have during Evangelism Month and the rest is history! 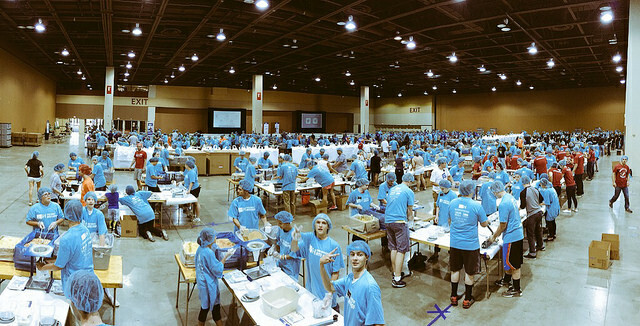 Volunteer for a Food Packing Shift – because we will be packing over 100,000 food packs, we need many volunteers! Each two-hour food packing shift requires 160 people to help pack food bags to be packaged and distributed. This is a great way to involve your family – children 5-and-up are invited to participate! We especially need help with the Saturday afternoon shift! Volunteer to Set Up and Clean Up – As you know, Lighthouse is NOT a food-packing warehouse so we need some help in transforming our Fellowship Hall for FMSC. We need a team of twenty people to help us set up everything for the Mobile Packing event, as well as a team of twenty people to help us break down everything. Pray that our church would have a bigger view of the world, and see how we can play a small part in reaching out to those globally. Pray that we would invite non-Christians to this event so we can be a light to them, and to our community at large. We hope that this event can show a gospel centered perspective on addressing the physical and spiritual needs of those around the world. Pray for the hearts of those that come to this event – whether Christian or non-Christian-and that this event would point us all to Christ. If you’re looking for ways to get more involved, please sign up here for the open shifts (currently Friday evening is full). If you have any questions regarding the FMSC event, please email megan@lighthousesouthbay.org .